IN 1956, one year after James Dean invented youthful rebellion, theatre in the United States was sizzling with working-class angst and broken dreams, courtesy of Arthur Miller and Tennessee Williams. In the UK, however, it was stuck in the drawing room, with endless re-runs of Coward and Rattigan. Then Jimmy Porter arrived on stage at the Royal Court. The hero - or anti-hero - of John Osborne’s Look Back In Anger was a spokesman for the frustrated youth of the post-war generation, a working-class man with a university education, relegated to living in a cramped bedsit, running a sweet stall and raging against the world. It was raw and immediate and West End theatre had never seen the like. "These people are scum," said Somerset Maugham. Kenneth Tynan hailed the voice of a new generation. "John Osborne didn’t contribute to British theatre," wrote Alan Sillitoe. "He set off a landmine called Look Back in Anger and blew most of it up." The question remains, can Jimmy Porter’s world set the heather alight in Scotland in 2005? Director Richard Baron, who is bringing a new production to the Lyceum this month, believes it can. Not least because he has managed to bag two of the country’s hottest young actors. David Tennant, 33, was lured back to the Scottish stage for the first time in nine years by the chance to play Jimmy Porter. The Scottish actor has recently appeared on television in Blackpool and this year, he takes the title role in the BBC’s Casanova, and as baddie Barty Crouch Junior in the fourth Harry Potter film. Look Back In Anger grabbed Tennant by the jugular as soon as he started reading it, he says. "It’s so raw and exciting and terrifying. On one level, it’s very theatrical. On another, it’s very truthful. That’s a killer combination." He and Baron then decided to invite Kelly Reilly to play Jimmy’s wife Alison. Reilly, 27, appeared in the movie Last Orders, after which she was described as "the next Helen Mirren", and was recently short-listed for an Evening Standard Theatre Award. She has a total of four films due out this year, including a major role in Stephen Frears’s Mrs Henderson Presents, with Judi Dench and Bob Hoskins. Tennant believes that Look Back In Anger’s status as an epoch-defining play has caused some of its finer qualities to be overlooked. "Because the play changed theatrical history, people have the idea that it’s a period piece, which doesn’t really do it any favours because it’s absolutely not." The politics of the play has a remarkable resonance 50 years on: young people losing faith in politicians while the country is embroiled in a minor war (Suez) which no-one believes in. Baron says: "The feeling of political powerlessness and impotence which is endemic in the play feels completely contemporary." Tennant adds: "Jimmy says there are no great causes left. I think that’s actually more relevant now than it was in 1956." The class struggle in the play, personified by Jimmy’s volatile, fractured relationship with upper-middle-class Alison, is hardly outdated either, with wealth and privilege still calling the shots in many fields. "We still have a f***** Queen," storms Tennant, "how messed up is that? However, this production will treat Look Back in Anger less as a political tract and more as a desperate, twisted love story. "It’s about the psychology of Jimmy and Alison," says Baron, "and what it’s like to be in that sort of relationship. It’s not a political rant, it’s about the characters, which makes it timeless." The challenge, he argues, is not to understand what went wrong between Jimmy and Alison, but why they fell in love in the first place. "At times Jimmy is very funny, he can be amusing and loveable and witty and charming, he’s got to be because two people - his wife and his best friend - really love him, and are loyal to him." "There’s a lot of love in there," says Reilly. "They’re messed up, but they’re human beings, trying to love with all their baggage, their own clashing ideas of what that actually means. Osborne writes a lot about love, what he thinks about love, although it tends to go unnoticed." Reilly says that Alison is no downtrodden victim of her husband’s tyranny. "They’re both in this together. She’s not the innocent victim and he’s not the angry, horrible, big, bad wolf, it’s much more complicated than that, like all relationships are. They’re both victims. "But for all the misogyny [Osborne]’s accused of, he has written a woman unlike any other character in a play before then, because she’s so real in her vices: the manipulation, the silence, the passive aggression, the power she holds over him. I think he’s not writing about what it is to be male or female, he’s writing about these people as individuals." The rawness and freshness of the play comes, she says, in the fact that it shows us the sinews of a relationship laid bare, as hard-hitting in 2005 as in 1956. "It’s about the dysfunctionality of relationships behind closed doors, the things you don’t see. They are completely expressed in this play, all of your prejudices, all of your fears, all the things you would probably shiver about and keep quiet about it if you saw it in public." 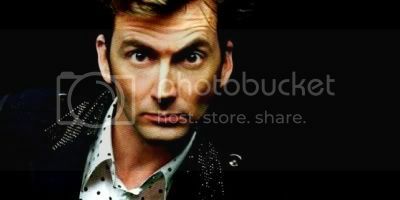 "Jimmy and Alison are extreme," adds Tennant, "but what makes it work is that you can see snippets of yourself in them. That’s what makes it thrilling and terrifying."